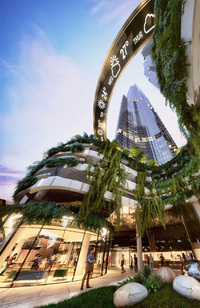 What could be the new tallest building in Australia, the Orion Towers, has been proposed for a site on the Gold Coast between Markwell and Enderley. Adding to the emerging cluster around the southern edge of Blackfriars Bridge, an area already marked by the under construction One Blackfriars and the nearby Rejuvenated Kings Reach Tower, now called South Bank Tower, are plans for two towers at 18 Blackfriars Road designed by Wilkinson Eyre. 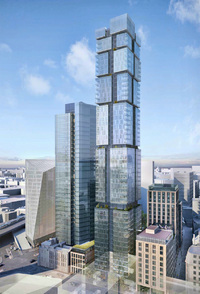 The scheme, features two towers standing on the southern corner of Blackfriars Road and Stamford Street, the tallest of which should be about 150 metres in height with the taller tower having 52-storeys. 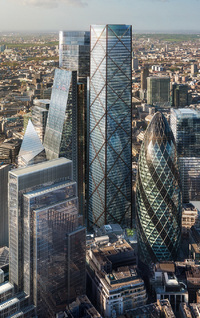 The shorter tower, an office tower, is estimated to be about 135 metres. 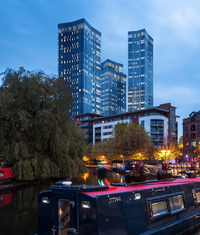 Lower rise buildings, the tallest of which will be only 18 floors, are planned to run along Paris Gardens, with the new green space on the southern part of the development connecting with the existing area around Christchurch Southwark creating an expanded if overshadowed urban park. The project is particularly notable for the design of the tallest tower, residential in use, nicknamed The Jenga after its blocky look. Although it has a rectangular shape, projecting glazed sections of multiple floors, presumably designed to accommodate double-aspect winter gardens, are cantilevered out creating a deceptively blocky look. 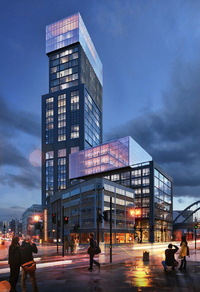 The other tower, which will be dominated by office use, will front directly onto Blackfriars Road and stand almost opposite the successful 240 Blackfriars development which was completed in 2015. The make up of the development sees 291 new apartments built of which 23% will be affordable, plus 548 hotel rooms, 25,523 square metres office space plus 2,966 square metres of ground floor retail. The developer of the scheme is the very piratey sounding Black Pearl Limited but sadly there are no cannons included. 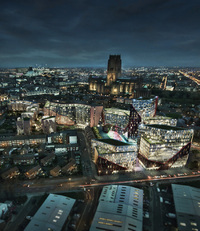 A planning application is expected at the end of the year. Manhattan's Meatpacking district isn't an area that is particularly associated with skyscrapers despite the high-rise reputation of New York City. 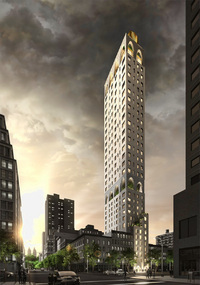 That could all be about to change if a new tower at 180 East 88 Street gets built.